Yesterday I drove past a neighborhood church sporting the sign, “Jesus paid the price… you can keep the change.” Disconcerting was the dissonance between the progressive denomination (United Church of Christ) and the regressive theology invoked (sacrificial atonement). Having walked away from my life in ministry just weeks earlier, I am loathe to jump into a theological conversation and I initially pass on the bait. ”To each their own,” I reply when asked to comment. Later in the day I received an email from a former colleague, expressing his concern with theological integrity and requesting conversation. Like me, he explains, he believes Jesus about God but does not believe the church about Jesus. With this truth, he asks, how can we stand before congregations uncritically parroting phrases that infer sacrificial atonement? What, he wonders, is the price for claiming that Jesus already paid it? Before I reply to the theological question, I must confess a personal investment. Despite my dispensing of the church in all formal ways, I find myself showing up to pews on Sunday morning. I try to find places where the words won’t make me cringe, at least not much. I seek places that don’t look tolerantly surprised when I lean into my wife’s open arms. I appreciate signs of multi-ethnic sensitivity and, better yet, presence. 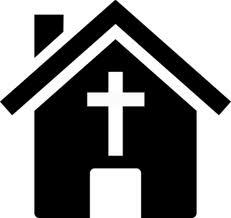 Yet I admit that I still unwittingly seek community in houses of worship. And perhaps therein lies an important clue to the relevance of engaging the conversation. As one still experiencing the need for gathered community, I find myself grateful for the conversation and hoping that we can find and create and cobble together some communities that embody the life and teachings of Jesus even as we step away from the trappings of the church. To hang a billboard that says, “Jesus paid the price” is to perpetuate a cavalier theology that is commonly known as substitutionary atonement. In a nutshell, it is the idea that humans are intrinsically corrupt, that the supreme deity demands a blood sacrifice, and that Jesus fulfilled that mission. Not only am I a Christian that disagrees with each of these suppositions, I am follower of Jesus who is offended them. But more important than my personal beliefs and even my indignation (however justifiable), these theological beliefs unwittingly shape our cultural norms in ways that lead us further from the compassion that we desperately seek. To repeat these phrases and however unconsciously perpetuate the beliefs is destructive. While it is no doubt comfortable to repeat the prayers and songs we learned as children, to seek a world of compassion while sing about “our Savior” is like subscribing to a new diet program while savoring a Snicker’s bar.